Egypt embarking on a multibillion dollar investment plan to develop multimodal transportation in the country as it continues to stabilize economically. Egypt’s government is securing greater levels of both foreign and domestic funding for transport mega-projects in order to heighten annual trade volumes and improve overall economic sustainability. 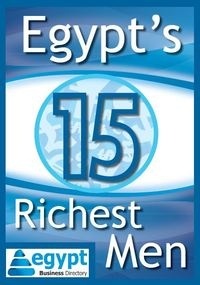 The country is emerging from its five year period of instability with greater drive, clarity and confidence than before, due to the large dynamic investment and public infrastructure construction initiatives being implemented by the Egyptian government. In the last 24 months, there has been significant investment into the transport sector in the country. Witnessing the inauguration of the Suez Canal expansion project of dredging parallel waterway advantage; which was completed in a record time. In addition, a number of Transportation, Maritime, Logistics, Ports & Shipping development projects, numerous numbers of port expansion projects are due to take place in the coming years. The need for such ambitious, large-scale projects has never been greater, as the government attempts to correct decades of under-investment in several key public sectors, including (most critically) the transport sector. Not only will these improvements provide greater capacity and higher levels of safety and comfort for Egypt’s inhabitants, it will also open up a wider vista of commercial opportunities as Egypt capitalizes on its strategic geographic location as the gateway between Africa, Europe and Asia.